Kia Ora, We are Year 2's at West Rolleston Primary School. We love learning through play, problem solving, exploring our learning and so much more! As a follow on from when we had a spider expert visit us, we did our own writing about spiders! We also created some art! We all drew our own webs, used white pastel to outline, then used dye over top! We think they look pretty awesome! Come in and have a look and learn some facts about spiders! 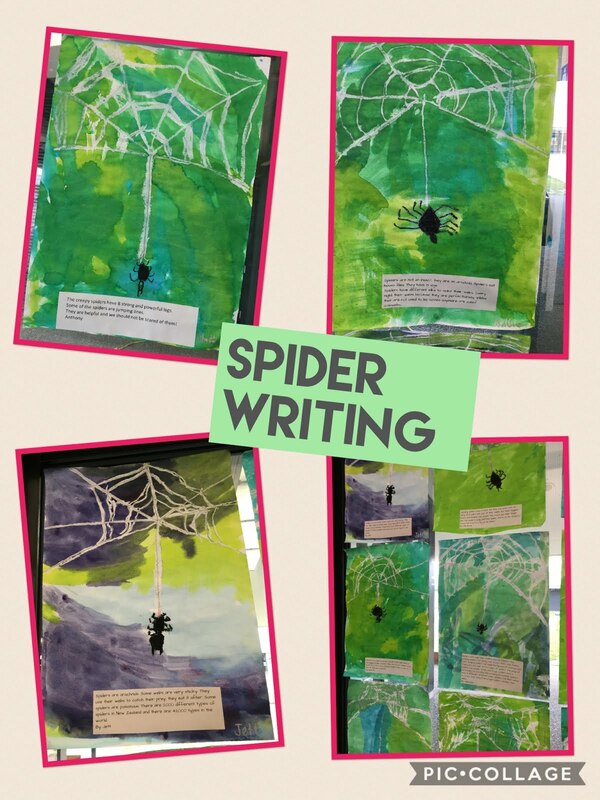 The art work is amazing and I even learnt some fun facts about spiders from Asher.